Inspired by many reader requests for a DIY tutorial to recreate the glittery mason jar vases from this New Year’s Eve party, today we’re playing with glitter. 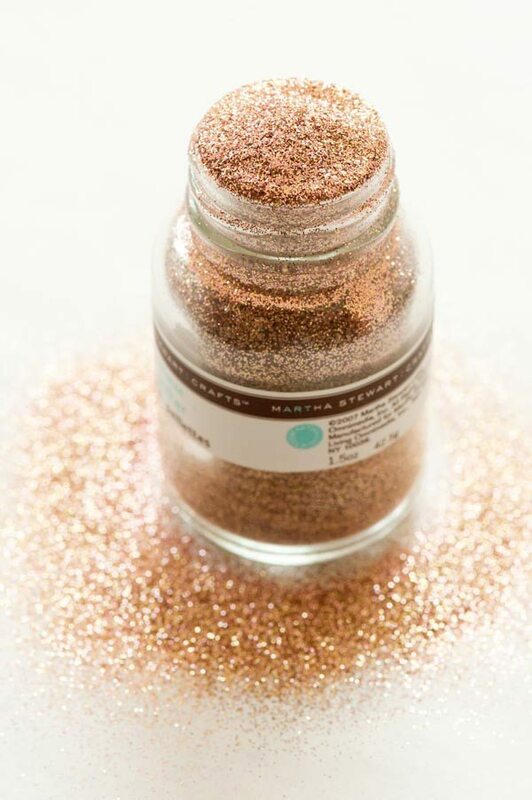 A whole lot of glitter! 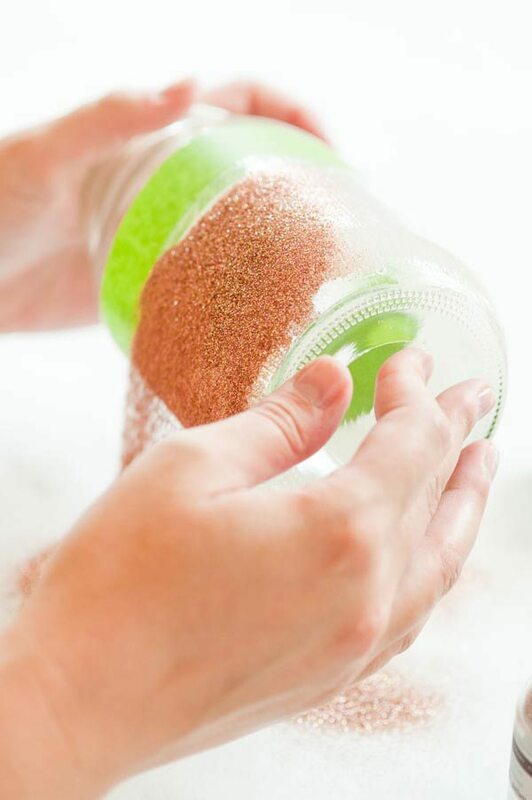 I whipped up two different versions of these glitter vasses, both of which are quick and easy. 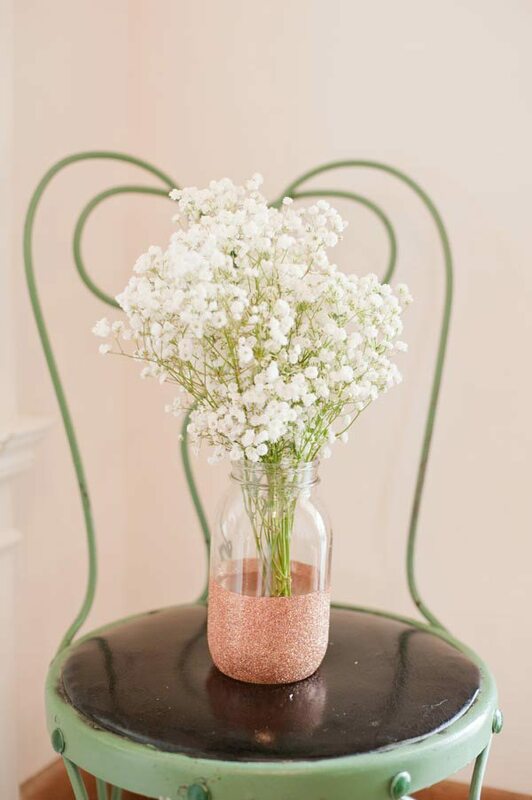 They’re perfect for parties, weddings or just to add a touch of sparkle to your dining room table. I seriously love how they turned out! 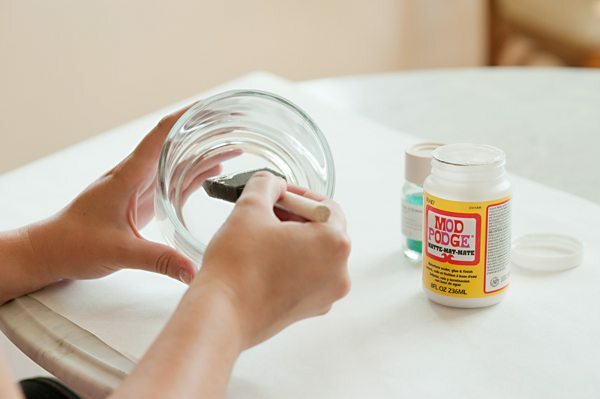 For the first vase I used a small cylindrical vase and using the foam brush, applied a thin and even coat of ModPodge on the interior walls of the vase. 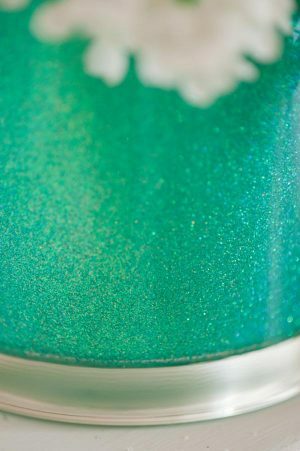 Next up, I dumped in a generous amount of glitter and rolling the vase in my hands, tapped the sides to get the glitter to evenly coat the ModPodge. 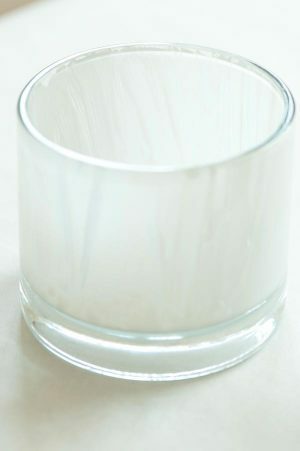 Then I just let the vase dry. It takes a few hours, depending on how thick you apply the ModPodge. 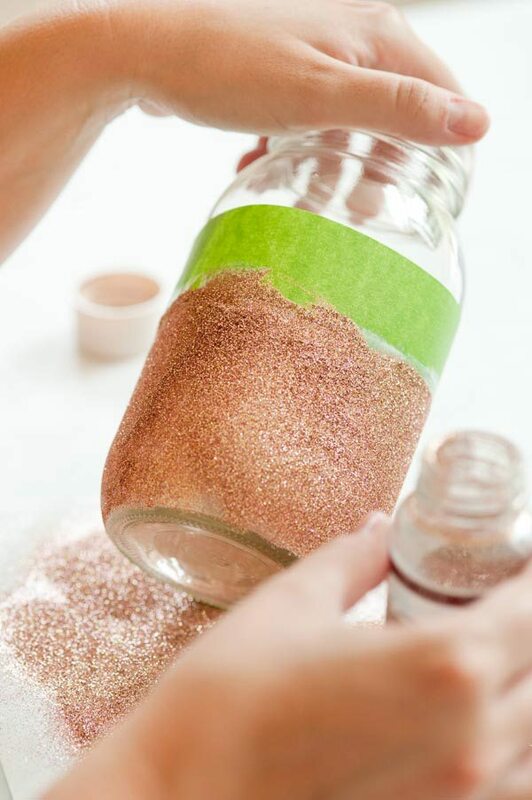 Any excess glitter can just be scooped up and put back in the original container for reuse. 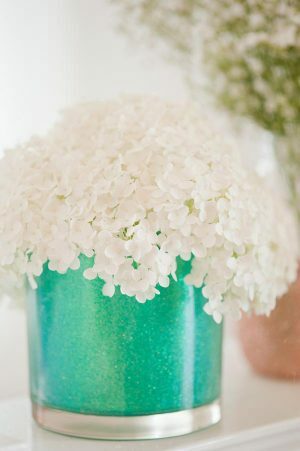 If you miss any spots on the vase, simply apply a second coat using the same technique using a thin layer of ModPodge, then applying glitter and swirling to coat. 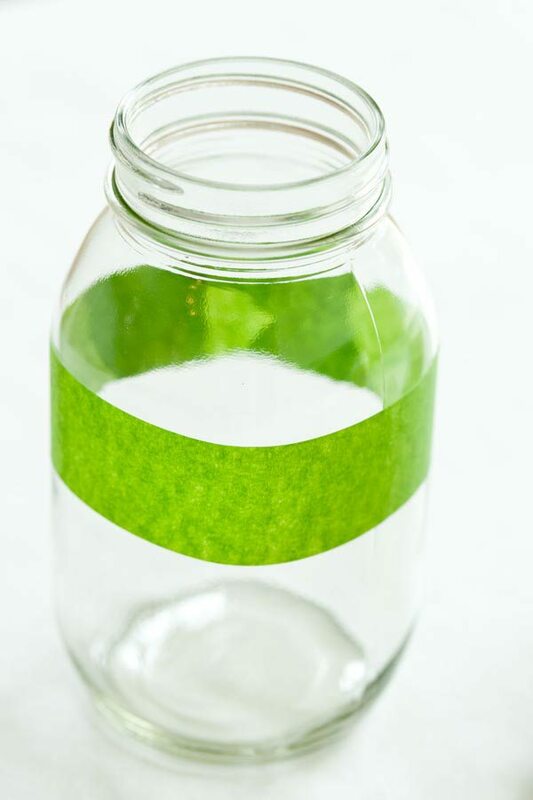 For the second version, I used a mason jar and went for a glitter-dipped look. 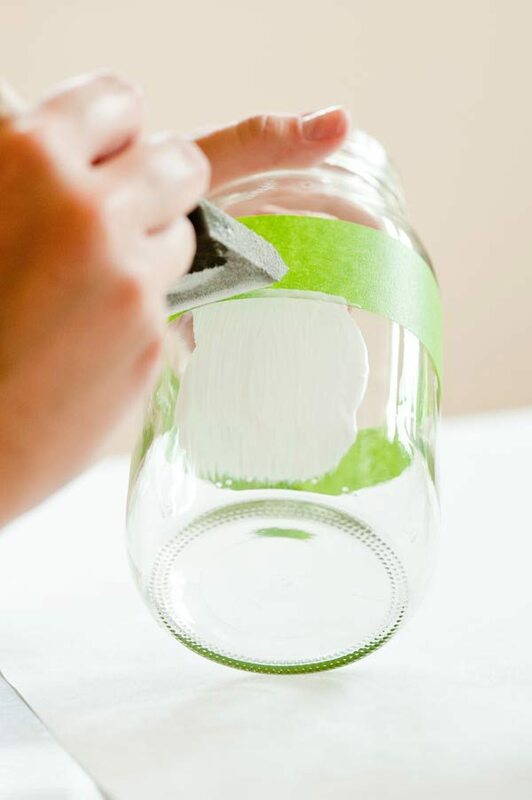 First up, mark off your jar with a piece of painter’s tape. How much of the surface you want to be covered in glitter will determine where to put the tape. I went about 2/3 of the way up. 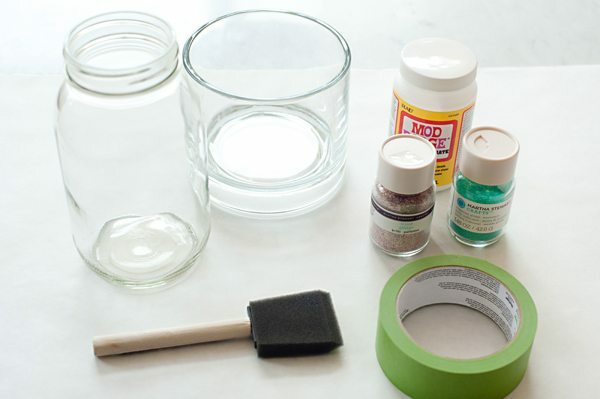 Then cover the area below the tape with ModPodge using a foam brush. 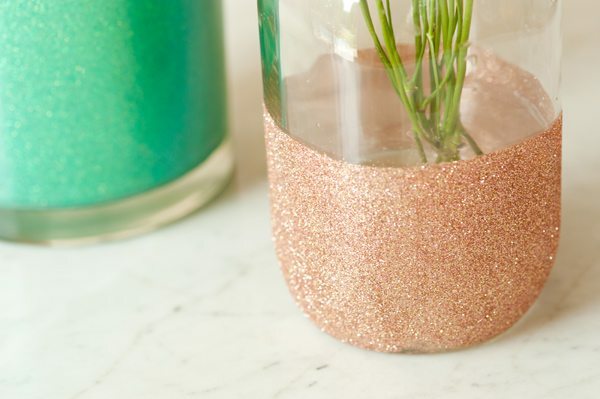 Next up, I used a copper glitter and coated the outside of the vase. 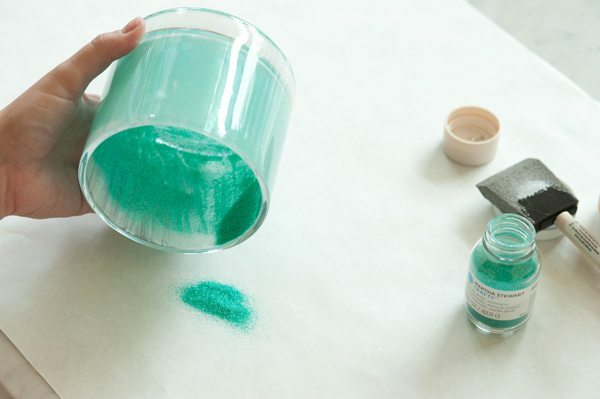 You’ll get a big mess with this one so make sure you have kraft paper or something similar covering your workspace. Then simply fold the paper up like a funnel and sift the excess glitter back into the jar when you’re done. 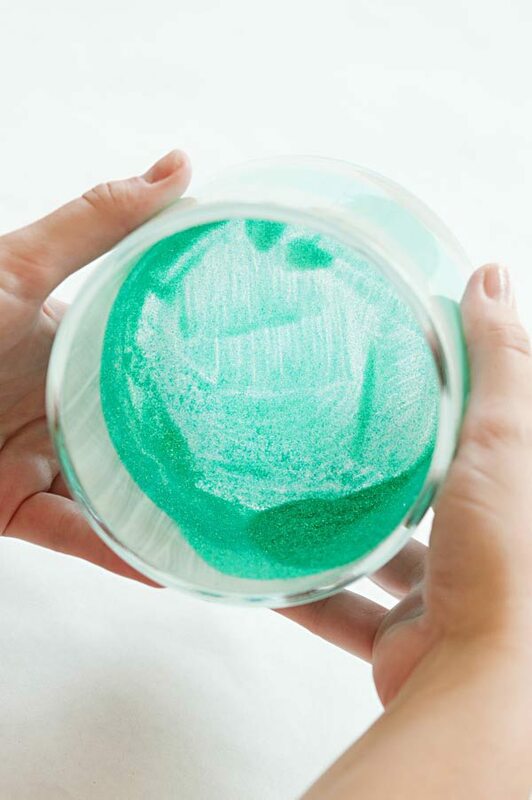 Once the glitter/glue combination is dry, apply an additional thin coat of ModPodge on the outside of the glass (or spray with a spray sealant being sure to protect the area not coated with glitter from getting sprayed) to lock the glitter in place! 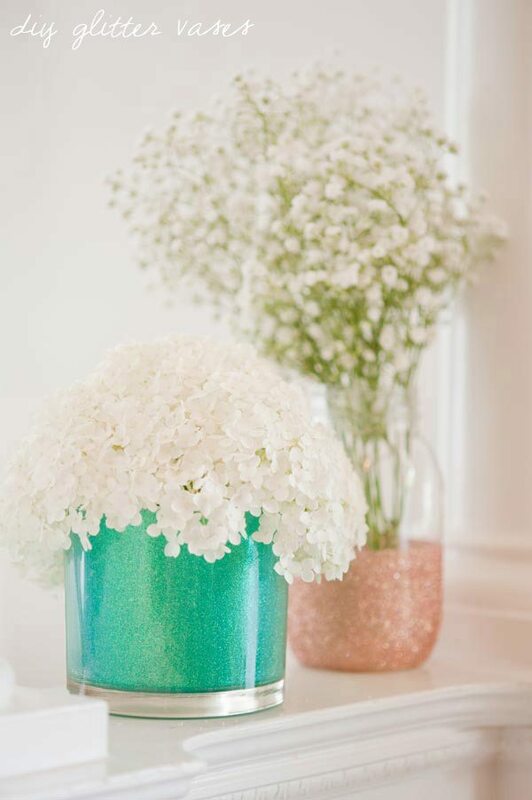 Once everything was nice and dry, I had two of the prettiest vases going! 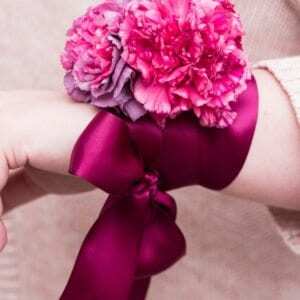 These would also look adorable holding makeup brushes on a vanity or keeping pens and pencils neat and tidy on your desk. 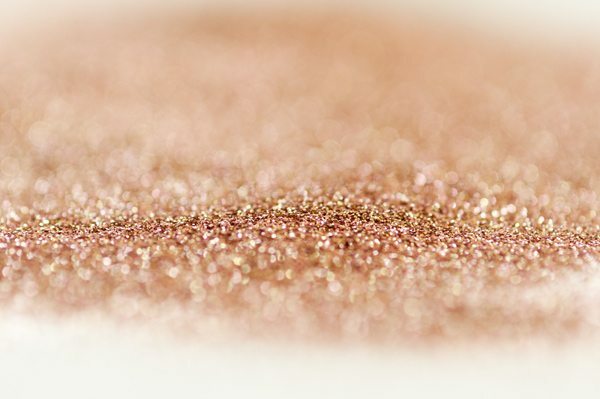 Glitter! 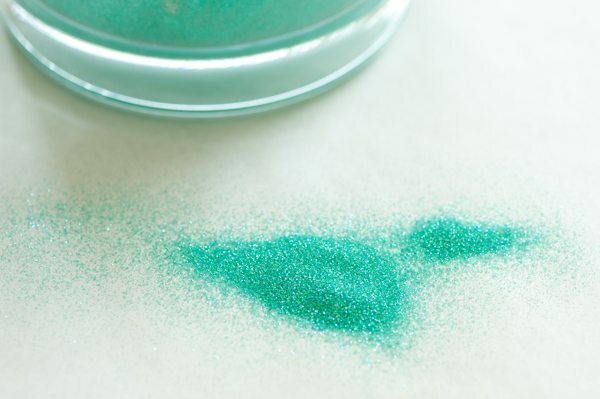 Seriously, who doesn’t just love glitter?